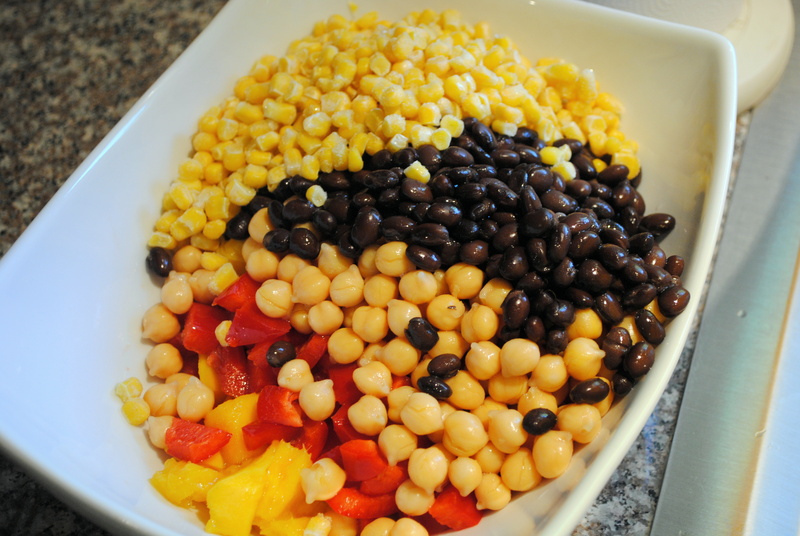 I was going through my pins on Pinterest the other day, and I realized I have pinned about six or eight different salads containing some combination of corn and black beans. Apparently this is something that sounds really good to me. Well, I think I can go ahead and delete all of those pins, because now that I’ve made this recipe, I don’t need any others. This one is super easy, fresh and bright, and also very colorful and visually appealing. I mean, look at those colors! 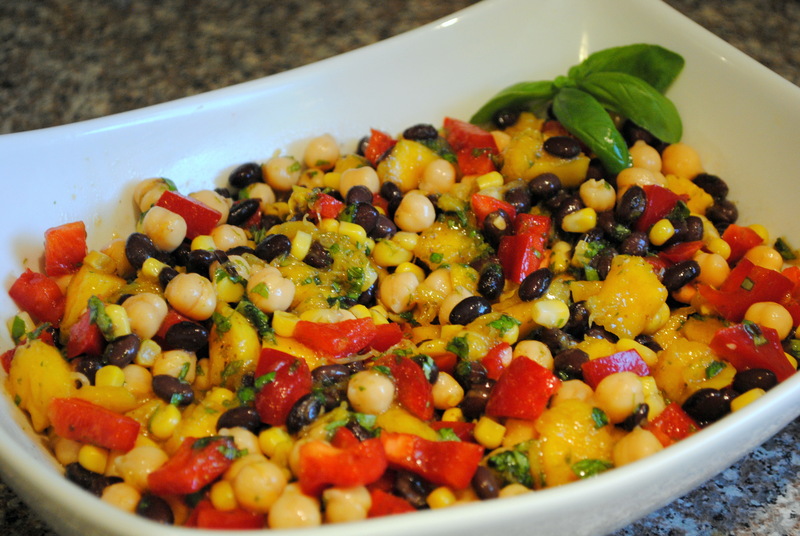 I love the bit of sweetness the mango adds, as well as the clean freshness from the basil lime vinaigrette. 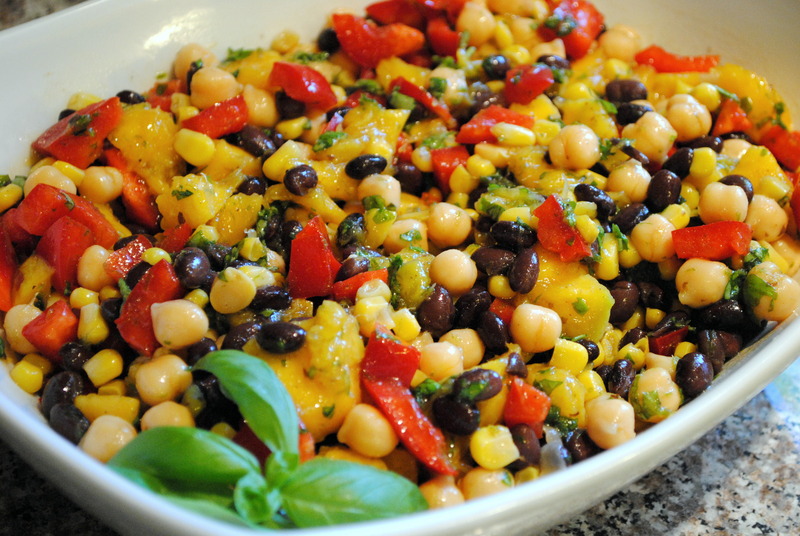 The beans make it hearty enough to be a substantial side dish. I’ve made this multiple times now when we’ve had people over for cookouts, and everyone has loved it. It’s so flavorful and unbelievably simple. Plus, it’s great for a cookout because there’s no mayo, so you don’t have to worry about it spoiling. I will be making this all summer long for sure! 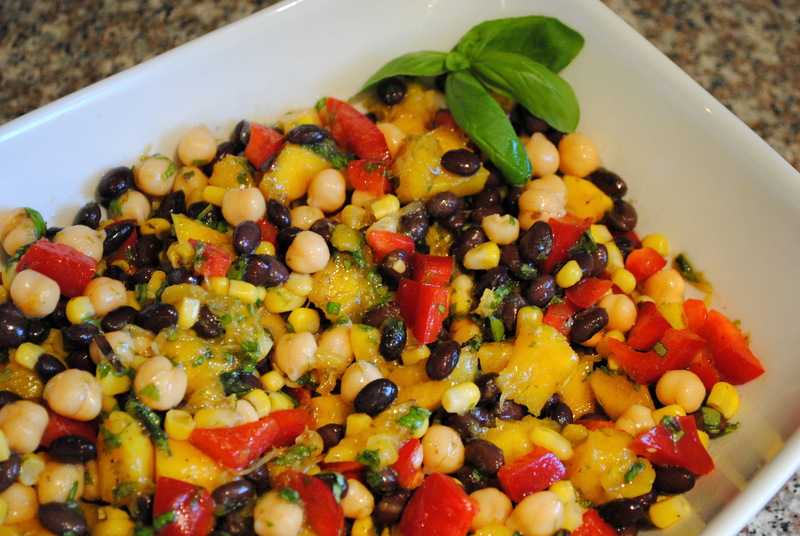 In a medium bowl, mix together the corn, black beans, garbanzo beans, bell pepper, and mango. 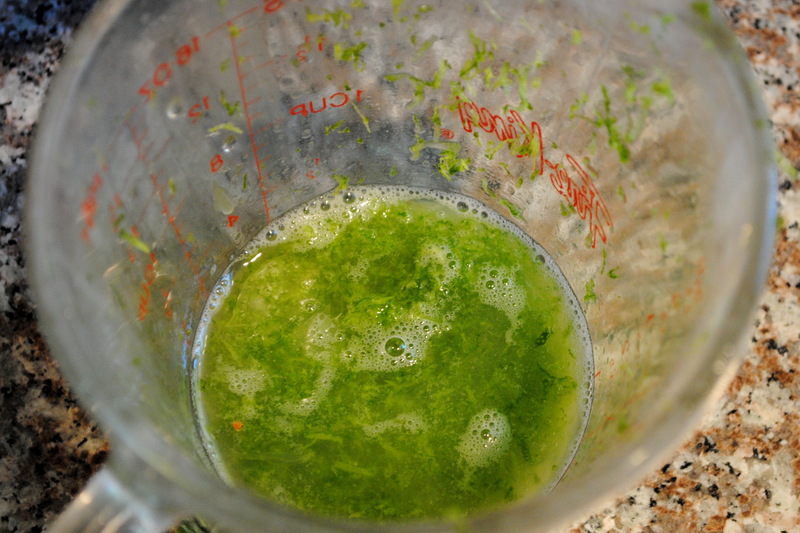 In a small bowl, combine the lime zest, lime juice, balsamic vinegar, honey, basil, and cumin. Slowly add the oil, whisking constantly until the mixture thickens. Season with salt and pepper, to taste. Pour the vinaigrette over the salad and mix well. Refrigerate for at least 1 hour if possible, and toss again before serving. This only gets better with time, so you can even make it a day ahead!